Why I love coming to work: During my time at Eaton Vance, I’ve seen the downside of the dot-com bust, a housing boom-bust, a financial crisis, some of the largest frauds and corporate failures in U.S. history, the advent of social media, and a host of other market developments both positive and negative. Finding good investments is challenging in such a dynamic environment, but the process is always interesting and rewarding, especially when you work with a group of talented and dedicated professionals like I do. "...the process is always interesting and rewarding, especially when you work with a group of talented and dedicated professionals like I do." 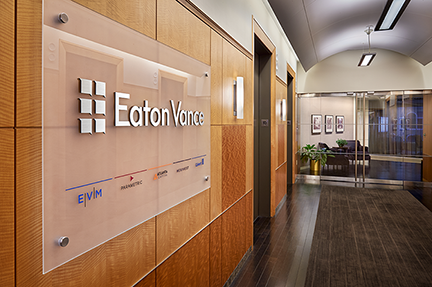 How Eaton Vance’s work culture is special: There’s an intense focus on hard work and results, but never at the expense of mutual respect for fellow employees or adherence to our core values. Other roles served at Eaton Vance: I spent my first two years in the Mutual Fund Services group. There I fielded phone calls from brokers and mutual fund shareholders while learning about the many products Eaton Vance has to offer.